Taika Waititi, left, is about to make as weird a movie as you’ve ever heard. Headlines like that are why we do what we do. A baby chimp is adopted by the pop star Michael Jackson. Narrating his own story, Bubbles the Chimp details his life within The King of Pop’s inner circle through the scandals that later rocked Jackson’s life and eventually led to Bubbles’ release. This film is not about Michael Jackson because that’s not a story for me to tell – or a story I’d be comfortable telling – it’s about a chimpanzee’s fascinating journey through the complex jungle of human life. I think animation is the only way to approach a story like this. I really loved Anomalisa because it was beautiful and authentic in its meditation on loneliness. I’m really excited to be working with Dan Harmon and Starburns as we share similar sensibilities and want to tell human stories in unique and artistic ways. 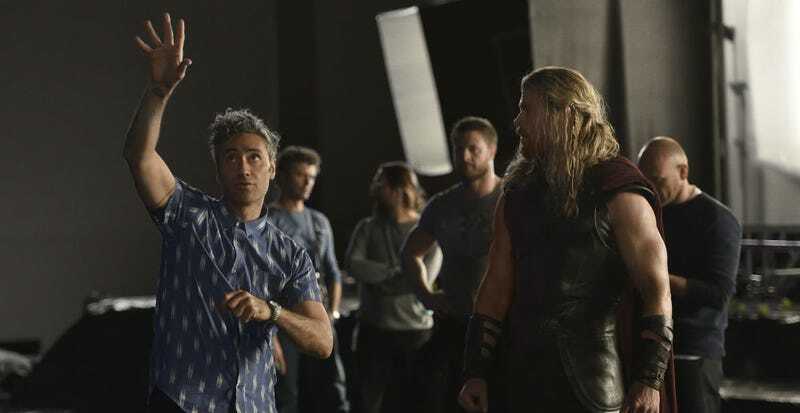 Waititi is currently editing Thor: Ragnarok, which will be out in November. But his offbeat humor has already become a favorite among film fans with movies like What We Do In The Shadows and Hunt for the Wilderpeople. He has just the right balance of absurd and human to take a story like this and make it magical. The fact he’s co-directing also means that the other projects Waititi has been working on, like We’re Wolves, could still happen. Stop-motion is a very slow process and a director does not have to be on set every single day. Bubbles does not yet have a distributor, with the whole project just being announced at the Berlin Film Festival. But a film like this would probably hit the festival circuit in four to five years before it has to worry about that. We will be not-so-patiently waiting.